Standard: Our Aluminum Retractable Banner Stands are available with 10 mil indoor premium vinyl banners and are just as versatile as our “X-style” banner stands. The retractable stands are conveniently packed in a small bag and set up in a few easy steps. X-Stand: Indoor Banner with “X-Style” collapsible stand. 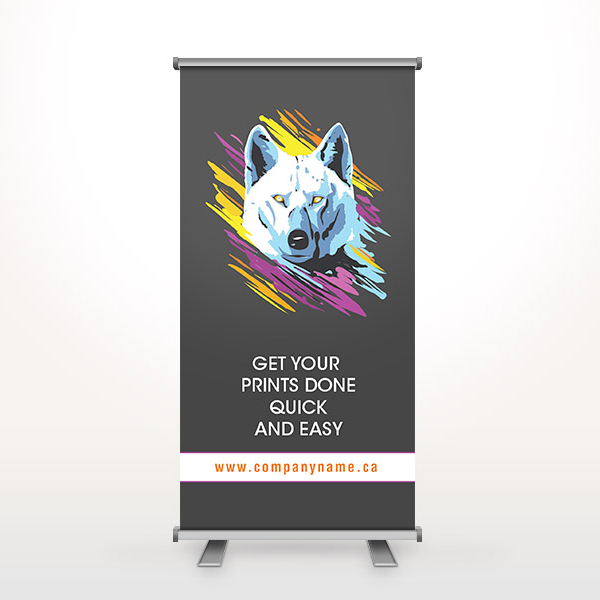 The same material as the Indoor Banner, these near photo quality banners are ideal for POP displays and trade shows. They set up in a few seconds and are 24″ x 60″ with grommets at the corners. Deluxe: Deluxe Banner Stands are a more stylish alternative to our normal retractable stands. Bigger, heavier base with chrome accents make it stand out. 10 mil indoor vinyl, collapsible and portable, comes with a convenient carrying case. 3 choices of Banner stands that make great indoor displays in showrooms, conference rooms, meetings and trade shows. Select a version below for more information.